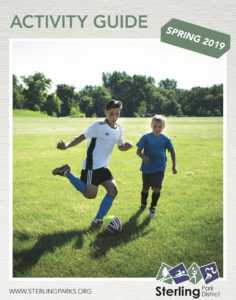 Kids Gym: We will soon provide child care while you workout! This service will be free to Total Fitness Pass members with a nominal fee being charged to non-members. The kids gym will be housed in the current CrossFit Unicus area, just down the hall from our fitness area. The space will be air conditioned and transformed into a fun and functional space for kids. In addition to child care, we will utilize this space for new structured youth fitness programs and birthday party rentals. 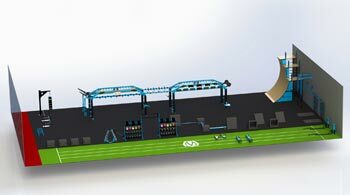 The space will feature a mega-sized indoor playground and Exergame Fitness Equipment. Exergame equipment combines technology, fun and fitness to motivate kids to stay active. Functional Training Area: Functional training attempts to adapt or develop exercises which allow individuals to perform activities of daily life more easily and without injury. By performing functional movements, individuals are training in a way which benefits their daily lives. This space will also feature two 84’ x 50’ (high school size) wood basketball courts and a 98’x59’ turf area for functional training. Juice Bar: Our lobby will be expanded to create room for a 100% natural juice bar. We will offer pre-workout drinks, refuel and recovery drinks, meal replacement beverages, veggie drinks, breakfast drinks, trim/low calorie drinks, whey/plant protein add-ins, muscle builder add-ins and whole foods. There will be no sugar added to any drink. Core supplement snacks will also be offered. Baseball/Softball Area: The new baseball/softball area will feature a 102’ x 60’ turf field (totally enclosed with netting). There will be up to three batting cages and a pitching lane available for training. The space will be designed for golf practice as well. Please note that the pictured space is not Westwood. It is a close representation of what the space will look like when the renovations are complete. CrossFit Relocation: CrossFit Unicus will be relocated to provided our athletes with double the space, and a new rig, which will be 50% larger than the current one. 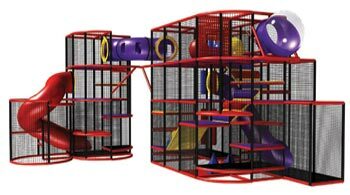 The space will be filled with additional cardio/strength pieces and will feature easy access to the outdoors. Fitness Area Improvements: Our current fitness area will receive a fresh coat of paint, new carpet and commercial grade dehumidifiers. Approximately 1/3 of the cardio equipment will be updated, along with several pieces of free weight equipment. We will also be adding stretching equipment to this space. Pickleball Relocation: Our pickleball courts will be moved from building 1 to building 3. This is great for pickleball, as they will have a dedicated space of their own with an improved playing surface. We will be installing six courts with a Laykold Pickleball Pro Plus court surface, the best dedicated pickleball surface on the market today. 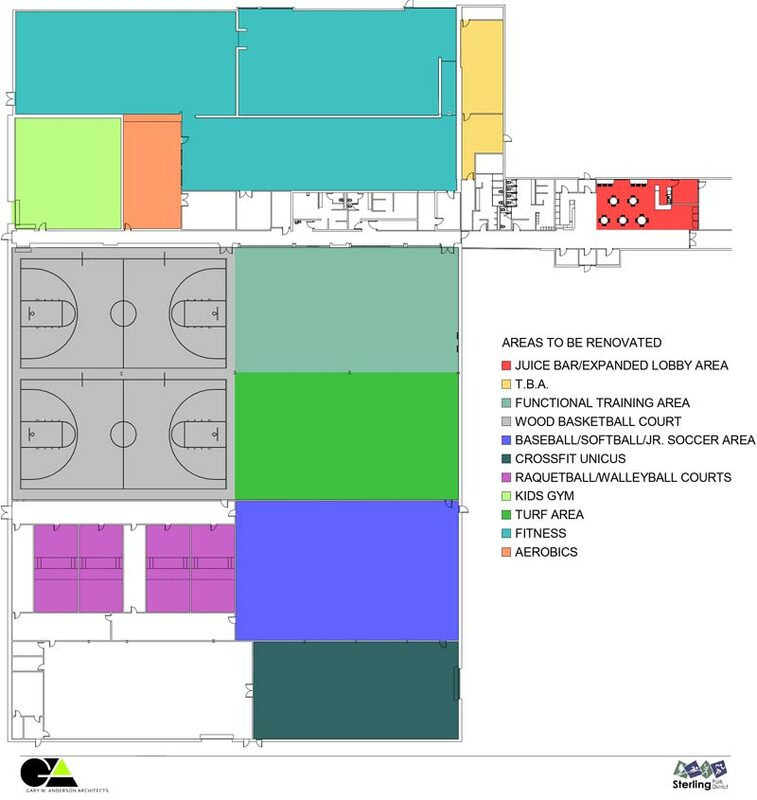 There will be room to expand from 6 courts up to 12 courts, if the demand warrants. The space will also provide a significantly better viewing area, with the opportunity for concessions. We are in the midst of renovating our outdoor courts at Kilgour Park, Westwood and Thomas Park. At Kilgour and Westwood, the existing tennis courts will be resurfaced. At Thomas Park, the two existing tennis courts will be resurfaced and converted into six pickleball courts. Check back for updates on when all of our outdoor courts will reopen for play.